The sheer size and power of The Ohio State University is certainly something to brag about. However, one thing people are not bragging about is the amount of money spent on the energy used to maintain temperatures throughout campus buildings. As everyone scrambles to find ways to reach carbon neutrality, they may be forgetting to simply look up. By using the U.S. Department of Energy Roof Calculator, converting our university’s roofing to “cool roofing” when cost effective would not only save $60,000 annually, but also over 1.5 million pounds of carbon each year. 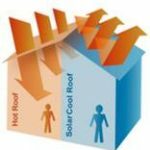 What exactly is cool roofing? It is a type of roofing that increases the amount of sunlight reflected (the albedo), allowing the roof and building to stay cooler. It comes in various colors but the most iconic and popular is white. This graphic was downloaded from http:// www.todaysfacilitymanager. com/articles/ Cool-Roofing.php and is used with permission from TodaysFacilityManager.com. Costing the same as normal roofing and having similar life spans, there is no reason not to use this roofing technology. By reflecting more sunlight, our campus roofing would be saving money, energy and carbon by lowering air conditioning bills. 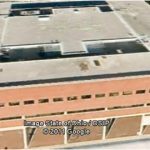 The university could use cool roofing on Kottman Hall, which desperately needs a new roof, as a trial run and case study. Once the savings are realized, the university can then make a commitment to use cool roofing whenever replacing future roofs. There is no better place on campus to be a leader in sustainability than Kottman Hall, the home of the School of Environment and Natural Resources. 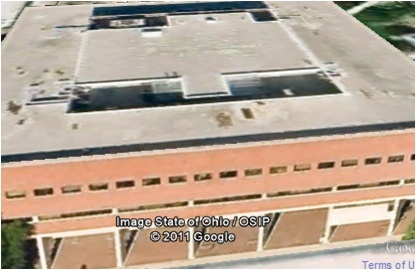 Image of the roof of Kottman Hall (from Google maps). Cool roofing can be an extremely successful aspect to a larger goal of becoming more sustainable. Currently, OSU claims to be “scarlet, gray, and green,” but it is only a matter of time until we will have to add “white” to the list of popular colors! It’s no secret that the stretch of Olentangy River running through campus is an eyesore. With 10 feet of Honeysuckle-dominated forest on the west side, grass and stone on the east side, and nameless debris flowing downstream, it hardly ranks as an “Ohio Scenic River.” The OSU Framework Plan outlines the regeneration of a forest strip on both sides of the river throughout campus. 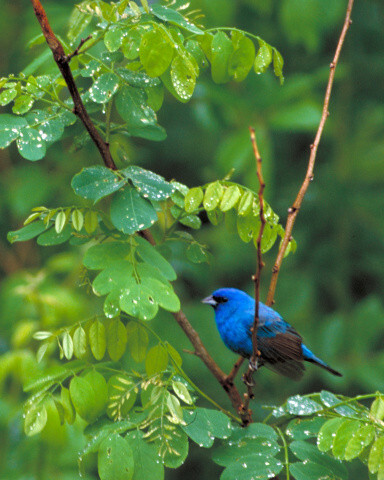 While the purpose of this forest is to reduce runoff going into the river, it could also greatly benefit the local bird community. Bikers and joggers on the bike path might notice that the only birds found on the east bank of the river are Canada geese, blackbirds and robins. 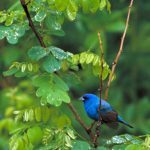 A properly managed forest could potentially invite over a hundred species of forest birds to campus, bringing bird watchers, naturalists and students to the bike path in tow. The Olentangy River corridor: Management intended for resident species (light blue), short-distance migrants (dark blue), and long-distance migrants (orange). The problem with most urban bird communities is that city pressures drive out a host of long-distance migratory species while resident and exotic species thrive. With the proper management of tree/shrub composition, corridor width and invasive plants, this new forest can become a valuable stopover and breeding habitat for migratory birds. Human enjoyment of these summer visitors could be aided with the development of additional walking paths, feeder stations, nest boxes and signage. Inviting a more diverse bird community could bring people together at Ohio State, and it sends a clear message that conservation is just as important to sustainability as recycling or clean energy. With increasing gas prices, dependence on imported oil, and depleting resources worldwide, finding alternatives to petroleum-based fuel is considered an urgent priority. One alternative, biofuel, is a controversial issue because the sources that are most commonly used to produce biofuel are soybeans (for biodiesel) and corn (for ethanol). These crops require large amounts of land and energy for both growth and refinement. In contrast, algae are easy to grow and can be manipulated to produce huge amounts without disturbing any natural habitats or food sources. As far as the food-versus-fuel debate is concerned, algae are the clear winners for biofuel. Algae also fit into Ohio State’s One Framework Plan for sustainability because they are carbon neutral. Algae are microscopic organisms, which, like plants, use photosynthesis to convert light into chemical energy while at the same time absorbing carbon dioxide from the atmosphere. Ohio State has the opportunity to also become more carbon neutral by using B100 (100 percent biodiesel) algae fuel in its Campus Area Bus System (CABS). The university currently uses B20 (20 percent biodiesel, 80 percent petroleum diesel) from soybean oil. B20 is cleaner than conventional fossil fuel, but we believe that Ohio State should transition to B100 in all of the CABS buses and become a leader in alternative energy. 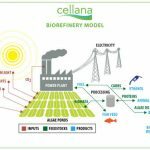 Ohio State’s Ohio Agricultural Research and Development Center in Wooster, Ohio, has already begun research on algae as a biofuel replacement. With collaborative interdepartmental research projects, the lofty vision of a domestically produced fuel supply could become a reality. 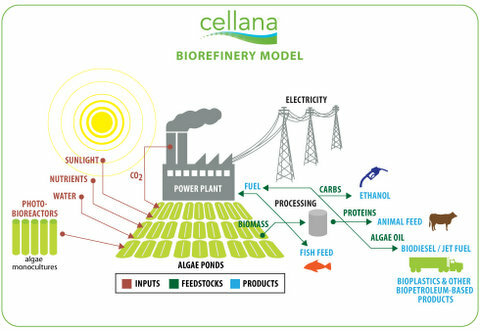 This graphic, used with permission from Cellana LLC, depicts how algae can be converted into energy and other useful resources. The Olentangy River has seen better days, especially after storm events. This is due to the combined sewer system around campus that can cause sanitary sewer waste to spill into the river during these strong rain events. The sewer system can’t store all the rainwater and discharges into the river. 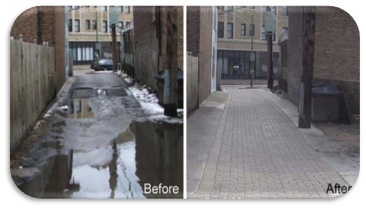 Impervious surfaces like parking spaces and streets cause water to run off quickly and unhindered. The water absorbs the pollution accumulated on these surfaces and brings it into the Olentangy as well. This damages the ecosystem and water quality of the Olentangy River. 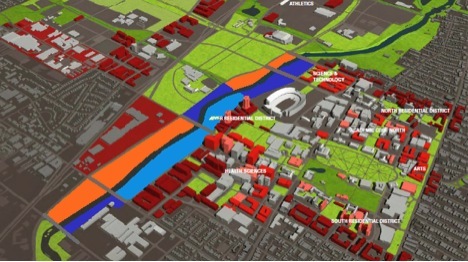 The Ohio State University recognizes that it contributes to the problem, because the Olentangy runs through the campus, and thus the university designed the Framework Plan to be part of the solution. 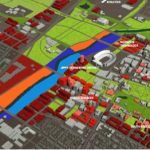 The Framework Plan is designed to reduce the university’s ecological footprint on the Olentangy River. It also plans to concentrate the academic buildings in central campus. This would be a perfect opportunity to renovate streets and parking spaces. The costs for permeable pavement will be higher than traditional asphalt but the benefits for the river and people living downstream would be immense. The city of Columbus plans to spend $2.5 billion to combat combined sewer overflow. Some of that money should be spent on permeable pavement. 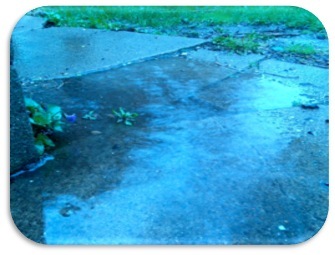 Studies have shown that runoff can be reduced by up to 90 percent by implementing permeable pavement. 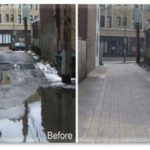 These photos from the Chicago Department of Transportation show an alley that experienced frequent flooding before being reconstructed with porous pavers in 2006. Photos used with permission. The 17th Avenue reconstruction already uses some permeable pavement, but we, the Permeable Pavement Research Group of this quarter’s ENR 567 class, believe that the university can do better. This should be done for the Olentangy River, Columbus, and all the people living downstream. Ohio State’s urban forest is already providing us with nearly $1 million in annual benefits. The new i-Tree software suite from the USDA Forest Service provides planners with a peer-reviewed, professional means of calculating the annual ecological benefits of trees. 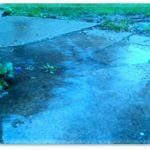 These benefits can be calculated for storm water savings, pollution removal, carbon sequestration and more. This includes documented energy and water treatment savings. Currently, Ohio State is incorporating this information into a sustainable urban forestry initiative. Through a careful understanding of these ecological processes, Ohio State can maximize its environmental benefits through improved campus tree management. By conducting a census of trees on campus, Ohio State can quantify these ecological benefits and savings and incorporate them into management plans for our campus as a whole. The university has also established a tree care committee. This panel, consisting of technical experts from a gamut of related fields, is currently in the process of finalizing a campus tree care plan. Our university is also making strides towards becoming a Tree Campus USA school. This accreditation is provided through the Arbor Day Foundation and is awarded to schools that demonstrate a commitment to preserving and enhancing their urban forests. Look for the ArboBlitz event in fall 2011, where students, faculty, alumni, and industry professionals with combine to conduct our first annual tree census. This synergistic approach promotes student involvement and community awareness of benefits of urban forestry. We recommend that the university create a Tree Advisory Committee to help effectively manage campus trees and therefore increase the annual environmental benefit. 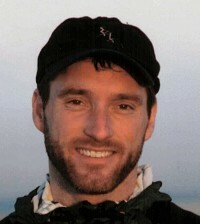 For the past two quarters, my students in ENR 567, “Communicating Environment and Natural Resources Information,” have focused their group research projects on sustainability at Ohio State, in connection with OSU’s One Framework Plan and the university’s sustainability plans. Projects in this pilot effort have ranged from examining options for renewable energy at OSU and infrastructure and ecosystem services planning, to sociological strategies and educational opportunities to help implement sustainable projects around campus. Topics have included green roofs, reflective roofing, campus composting, solar power, bus commuting, algae fuels for OSU CABS buses, Olentangy River corridor restoration, avian diversity, permeable pavement, sequestering carbon on off-campus OSU properties, an urban forestry initiative for the Columbus campus, emerald ash borer management at the Waterman Farm woodlot, and communicating environmental education themes. For a listing of project titles, download flyers from the classes by clicking here: Winter2011, Spring2011. Some of these projects have already led to further inquiry around the university, with the possibility in some cases that OSU will implement some aspect of the student project plans. OSU Framework Plan administrators and decision-makers have been incredibly supportive of this student work, providing feedback and working with the students during their research and presentations, resulting in a win-win project for both the students and for OSU. 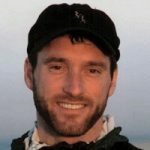 For more information about projects from Spring 2011, watch this blog for the students’ reports on what they’ve learned.